Cherry pie? Check. Damn fine coffee? Double check. Spooky goings-on in a strange Pacific Northwest town? Ditto. “Twin Peaks” is coming back to the airwaves May 21 on Showtime 26 years after the murder of high school debutante Laura Palmer was solved. That means our favorite G-man, FBI agent Dale Cooper—aka Kyle MacLachlan, ’82—will be back on the air working to solve the latest mystery happening around North Bend and Snoqualmie. MacLachlan, a Yakima native, continues to enjoy a wide-ranging career in TV and the movies, but it’s clear he has a real thing for his native Pacific Northwest. 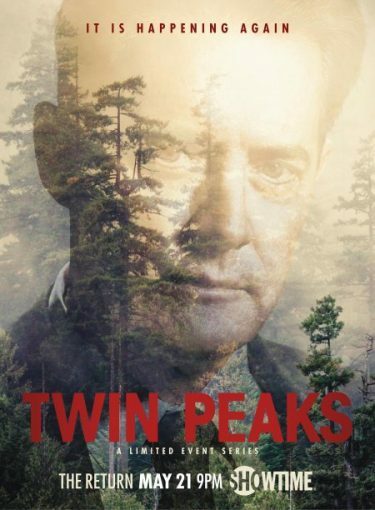 In addition to “Twin Peaks,” he has had the opportunity to play the creative, affable mayor of Portland—sitting on an exercise ball in his City Hall office—in “Portlandia.” MacLachlan and everyone else has kept very tight-lipped about the new “Twin Peaks” but he did let it slip to Vanity Fair that damn fine coffee and cherry pie will be consumed. But that’s not all. As MacLachlan tweeted, “See you in May! I’ll bring the donuts.” Hmm, I wonder if they will be from Top Pot.